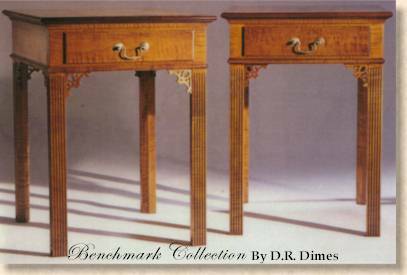 Chippendale Side Tables with pierced corner brackets, moulded top and fluted legs. Available in Solid Cherry and Solid Tiger Maple. Useful for the living room or as nightstands.